I decided to join in with other bloggers with a unique challenge: come up with kid-made Christmas cards. I went with my good old favorite – a free printable – and created these color-in holiday cards for you to enjoy. I took a break from my typical way of doing things and used adorable stock images I got from the super cheap Christmas bundle on Fontbundles.net. I used two different methods on Photoshop to turn them into fun color-in holiday cards for kids. The cards fold in half with the designs on the front, a blank inside, and a watermark on the back. You can really do what you want with these – they are very simple and easy to work with. On one of them, I couldn’t resist getting a little bit corny. I’m sure the kids will enjoy that humor as well! 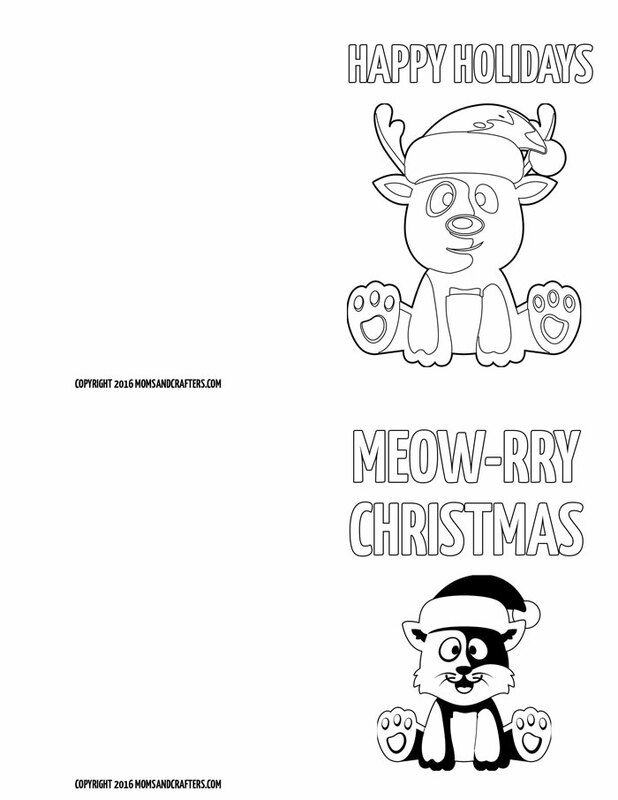 The one with the cat says “Meow-rry Christmas” and the one with the reindeer says “Happy Holidays”. Look out for the PDF file in your inbox. If you prefer more detailed cards and/or Hanukkah themed cards, I’ve made a set for grown-ups here. Print it out on cardstock. You can also print it out on plain paper, cut out just the front and glue it onto construction paper or colored cardstock. Fold it in half so that it opens on the right and the color-in character is on the front. Bring out the crayons and markers and color away!! Throw some googly eyes, ribbon bows, and snowflake sequins into the mix if you dare. The main thing is that the kids enjoy! 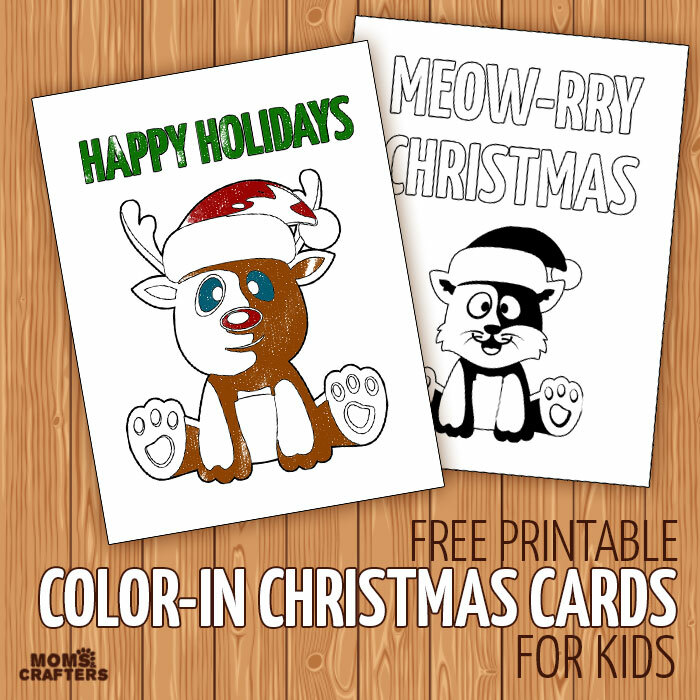 I hope you love the color-in holiday cards for kids! How else do you involve your children in holiday prep? Crafts for kids, Crafts for preschoolers, Crafts for toddlers, Free Printables, Holiday and Seasonal crafts, Kids, Paper Crafts, Preschoolers, Printables for play, Winter crafts. Bookmark.